All we know as we leave this morning is: the weather forecasts are all predicting very strong winds and consequently angry seas starting at about 5 in the afternoon. We do not want to wait two, three days or more days for a clearing. We’re usually pretty good at picking a destination, calculating the time to get there, etc. Today we want to be cautious, after all weather prediction is not an exact science, better to aim for a short hop and avoid getting caught in bad weather. So we set our destination as Bahia Kino, just 18 miles ahead, not even a three-hour trip. Easy-peasy, right? Nope! Sea conditions and current winds are more favorable to go south; we debate, decide that we have enough time to get to another safe spot, so we keep going. 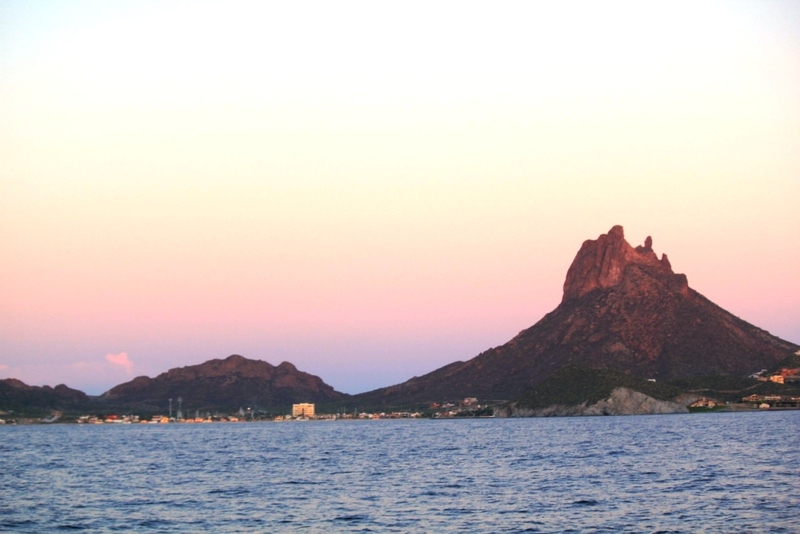 There’s an anchorage called Las Cocinas about 60 miles down, we can be there, safe and protected in about 8 hours. Ok, we keep going for the longer haul. It was another long motoring day. Not enough wind to get us going, just the threat of winds too strong to be friendly arriving in hours. We rev up the trusted engine and keep going. 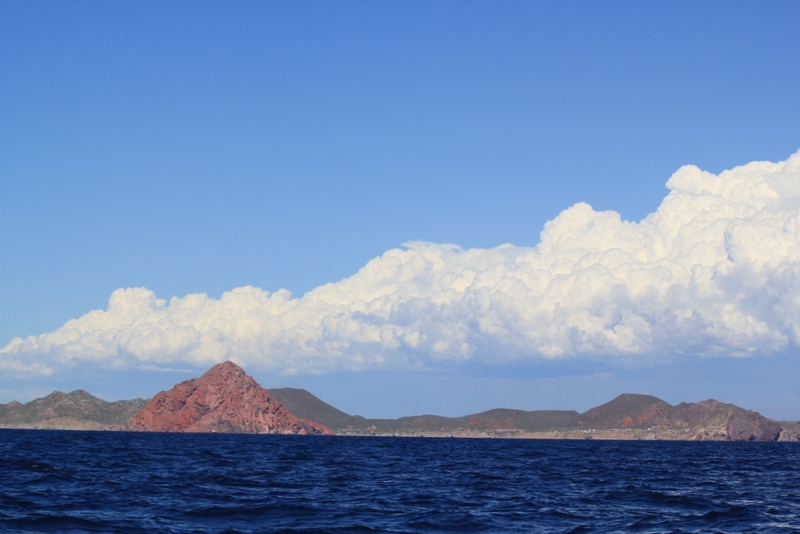 As we finally approach Las Cocinas, we see that the bay would be wide open to the predicted northwesterly strong winds. Tom purses his lips, twists his nose and blurts out “Let’s get going to Bahia San Pedro, it’s only 18 miles further down”. That means about 2 and a half more hours. Fine with me, as long as we arrive while there’s still light! We trod along. A while later the small Bahia San Pedro is right in our sight. There is a huge commercial fishing vessel taking shelter in “our” spot. We could squeeze beside it, no problem. Uh-Oh! Tom is twisting his nose again! The Captain has decided, the Admiral (yeah, right!) has acquiesced, so we keep going. It costs me to admit it, but Tom was right to choose the next anchorage. It’s beautiful for what I can see – it’s dusk by now-, it’s huge, plenty of space for a lot of boats (there’s no one else here! ), and very well protected.